Michael John (left) will trade the blue of Olympic for the black and white of Gungahlin in 2019. Photos: Supplied by Capital Football. Gungahlin United have gone on the offensive as the 2019 National Premier League season draws near, signing star players from rival clubs as the side aims to play finals football. 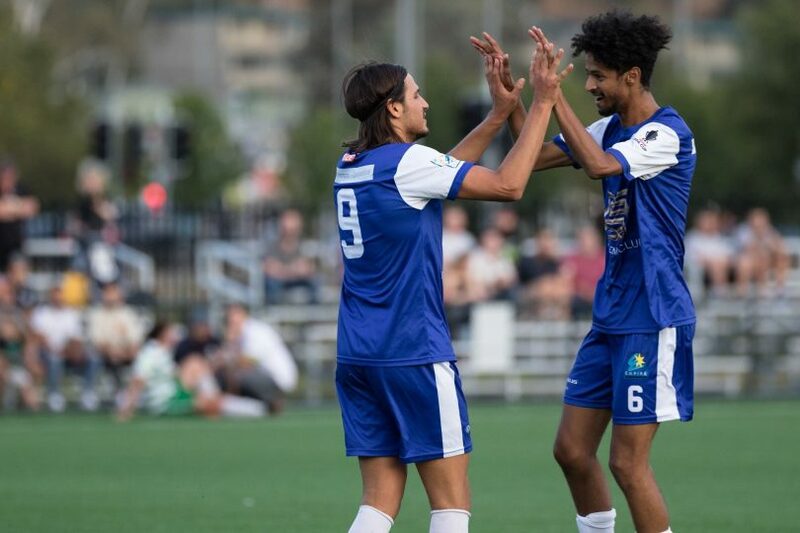 United has signed former Canberra Olympic forward Michael John and midfielder Jeremy Habtemariam for the upcoming season, adding strike power to a club that struggled to find the back of the net last season. A year after finishing in the top four and falling one game short of the 2017 grand final, Gungahlin United, who many tipped to be the dark horse of the competition, finished last season ten points adrift of the top four. Gungahlin head coach Marcial Munoz said the disappointment of last year forced the club to look to sign top class talent from rival clubs. The signing of the pacey John, who finished last season with 12 goals to his name and was third in the golden boot award behind Thomas James and Nicolas Villafane, is a huge coup for United, who are set to sign more high-profile players in the coming days. Munoz said the club’s signings was a warning shot to rival clubs as the club aims to return to the top four. “Bringing in players like Michael and Jeremy, who are of high quality and experience, allows us to be a bit more competitive than what we were last year,” Munoz said. “The players and I both know last season was extremely disappointing, especially with the way our season ended. 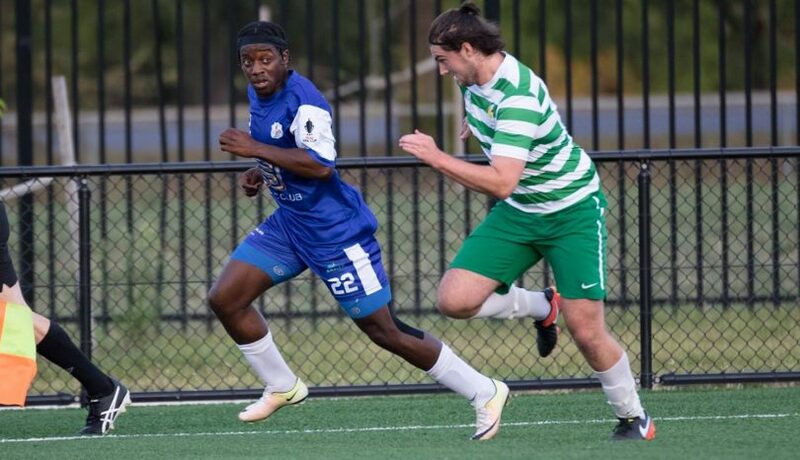 Jeremy Habtemariam (right) started the 2018 season with Canberra Olympic before heading to Canberra FC during the June transfer window. Munoz, who is now in his third season as head coach, said the club is also aiming to reach the national stage of the FFA Cup. United kicks off their season on 14 April against Canberra Olympic, setting up a grudge match for John and Habtemariam against their former sides. Munoz said he did not expect the new signings to spark a hostile rivalry with Olympic.